Most of us already know how helpful it could be for a child to cultivate a habit of reading books. In today’s world where digitalization is catching on fast, people’s reading habits and preferences are also undergoing a drastic change from books to e-books. But even today, the excitement of laying hands on a new book that gives a fresh smell and a hope to discover something can’t be missed. To developing a reading habit, parents, grand-parents, uncles, aunts, older siblings and the entire world must motivate children to visit a book fair, buy some books, read and share what they liked about them. There are many good reasons to visit a book fair with children. • A book is a gift that children can open again and again. • They give you the chance to instill a love of reading that lasts a lifetime. • They give parents and children an opportunity to pick out and read books together. This strengthens their relationship. • Reading books can enhance a child’s problem-solving abilities with countless what-if scenarios presented in the story plots, how characters behave, and how stories end. • Reading leads to thinking, evaluating, and analysing which helps in personality development of the child. • There may be many low budget books with beautiful illustrations and graphics, which can attract your child. • They give your child a chance to find reference books for the subjects in school curriculum. • Lastly, reading habit may encourage your kid to be good at academics and stay a learner, forever. Moreover, children will be exposed to a wide variety of books on all subjects to satisfy their inquisitiveness. 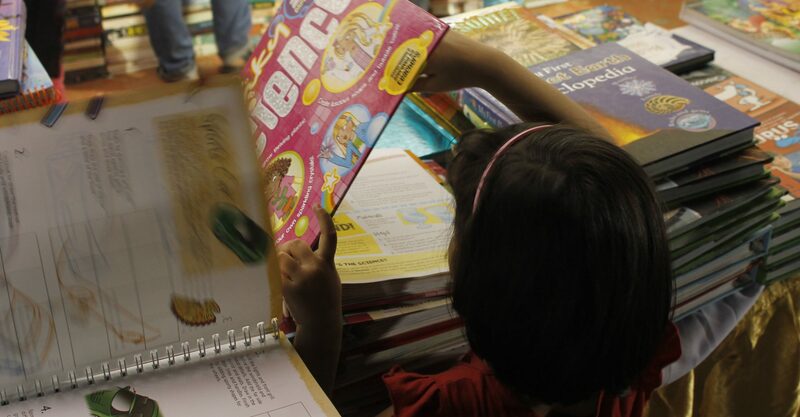 Visiting a book fair will give the children a motivation to read by offering them a wide selection of books. Most Book Fairs have a vast collection of titles to choose from. There are self-help books, which help in motivating others as well as oneself while some fiction may bring a story that relates to your personal life and might help you to overcome your problems. So, don’t miss a chance to visit a book fair and find what you want to read. The 14th National book fair in Lucknow that started on 23rd Sep 2016 is about to end on 2nd Oct 2016. As usual, the venue of the 10-day book fair was Moti Mahal Lawns, Lucknow. Very soon, other book fairs and literary festivals in Lucknow will bring many opportunities for book lovers to buy new books on discounted rates and even meet the authors.